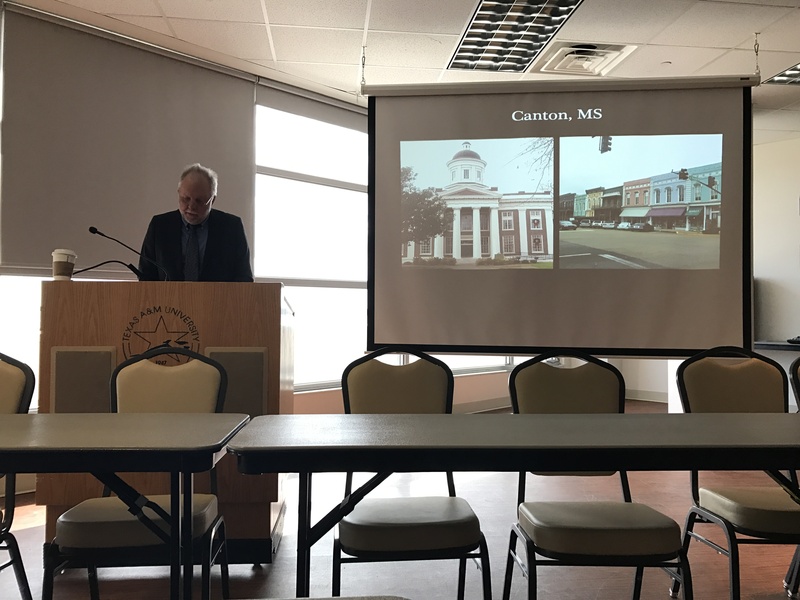 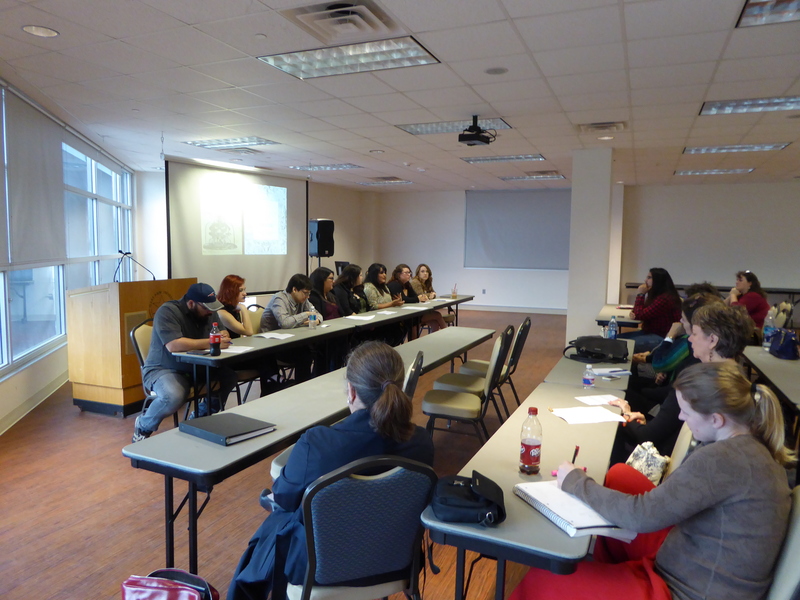 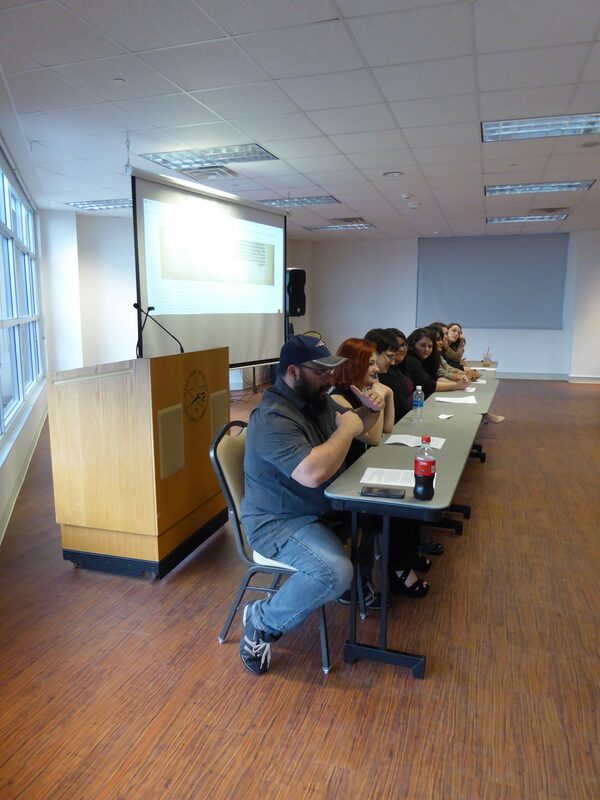 For this one-day symposium, eight TAMU-CC students had the opportunity to present the research they completed in Dr. Santos’s Fall 2016 course and to engage once again with Dr. Kallendorf and with two guest speakers, Dr. Eric Griffin of Millsaps College and Dr. Ruben Espinosa of the University of Texas at El Paso. 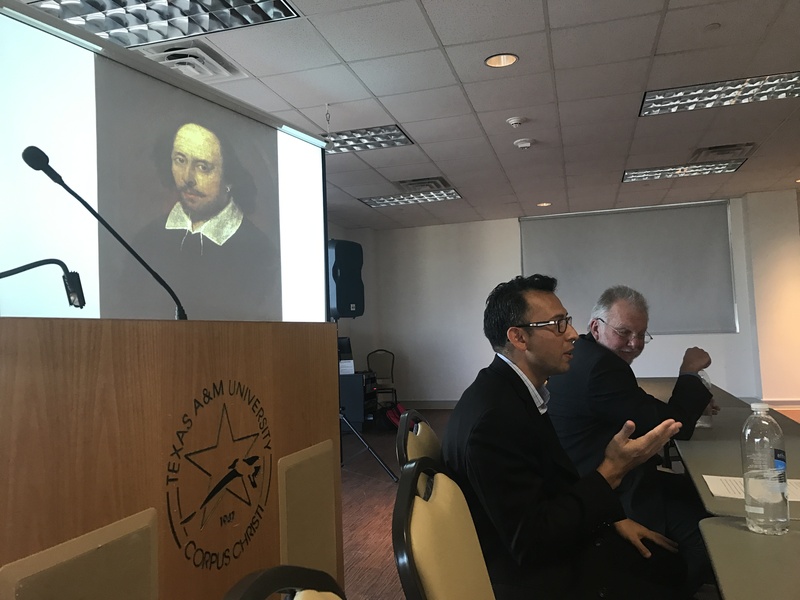 Both scholars’ research focuses on topics related to Shakespeare and immigration, and their work represents the two directions of intercultural exchange that this project explores. 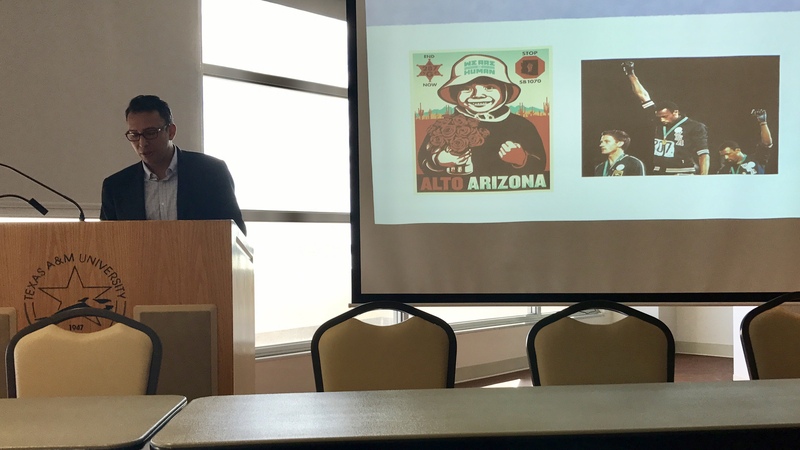 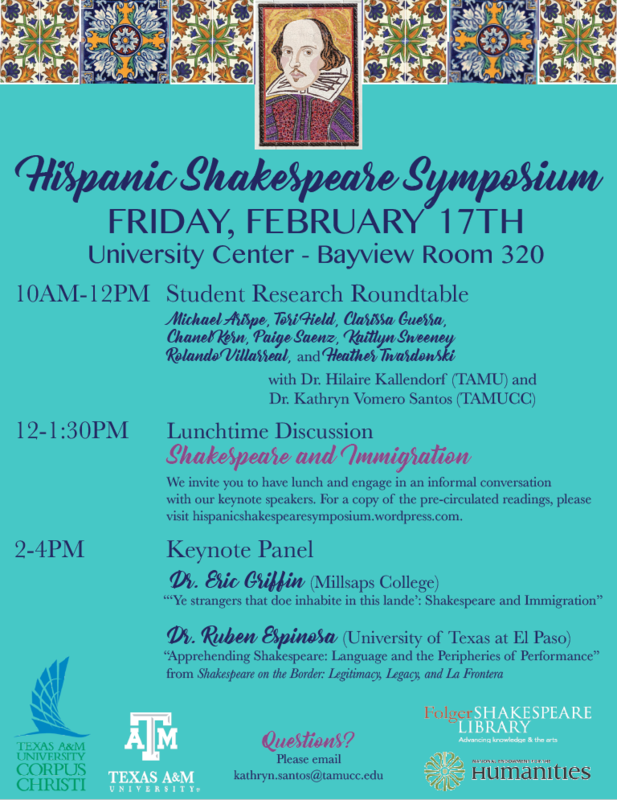 Dr. Griffin’s scholarship has focused on Anglo-Spanish relations during the early modern period and the continued influence of those interactions, and Dr. Espinosa’s current research asks us to think about the ways in which modern Chicanx and Latinx cultures have interacted with and reshaped Shakespeare’s works. 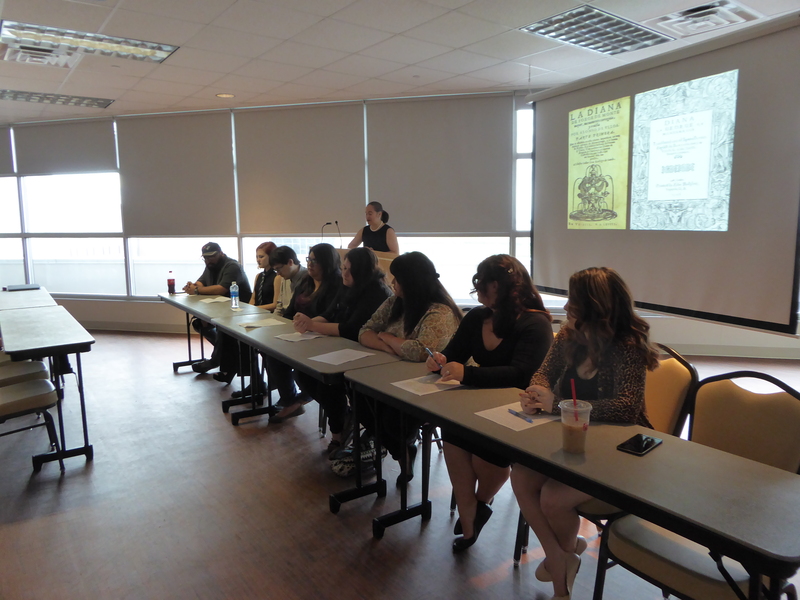 Below are some photos from the day’s exciting events!